I texted vane when I woke up on Saturday to coordinate studying and she said she had just eaten a breakfast burrito. It inspired me to eat breakfast tacos, my new favorite vehicle for eggs. I made an omelet like patty with eggs, jalapeños, cilantro, and bacon (of course). Topped the corn tortilla with avocado and voila! 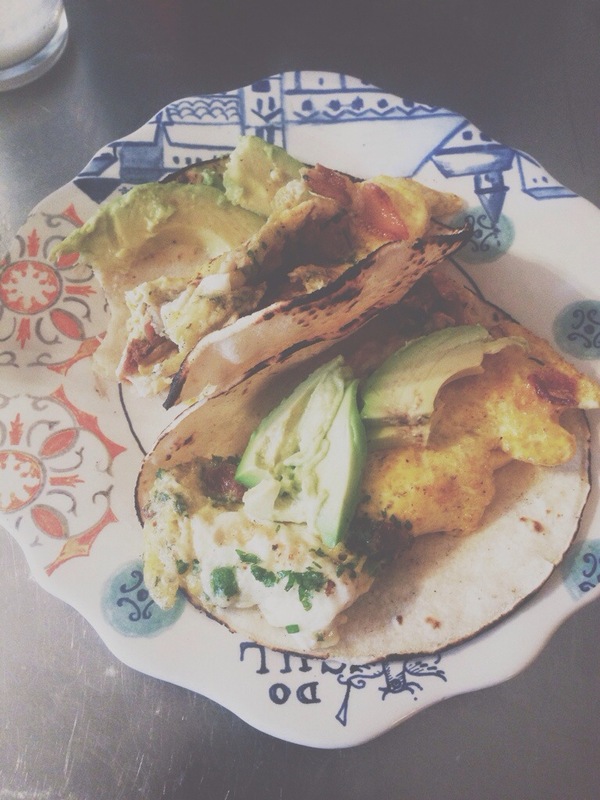 Breakfast taco. Highly recommended.